The United States will be the world's top oil producer in just a matter of months. That's the assessment of Pioneer Natural Resources Chairman Scott Sheffield, who told CNNMoney that he expects US production to surpass 11 million barrels a day within the next three to four months. If achieved, that level of output would move the United States past Russia and make it the world's top oil producer. "We'll be at 13 [million] very quickly," Sheffield said Wednesday at the OPEC International Seminar in Vienna, Austria. He predicted that number could jump to 15 million barrels per day within seven to eight years. The United States is currently pumping 10.3 million barrels per day, according to the US Energy Information Administration. Russia pumps 10.6 million barrels per day, while Saudi Arabia's production stands at 10.1 million. American production surpassed that of Saudi Arabia for the first time in February. Sheffield, whose company is a major shale producer, spoke ahead of a highly-anticipated meeting in Vienna on Friday where OPEC members could ease production cuts that have been in place since 2017. The US oil industry is being powered in large part by shale producers that emerged stronger than ever from a sharp downturn in oil prices from 2014 to 2016. Shale oil companies have become vastly more efficient thanks to impressive technology gains that have boosted productivity. Big improvements in drilling techniques have allowed frackers to drill more — and cheaply. Companies have slashed costs, cleaned up their balance sheets and adopted a more disciplined approach aimed at avoiding expensive projects that can lead to financial trouble. 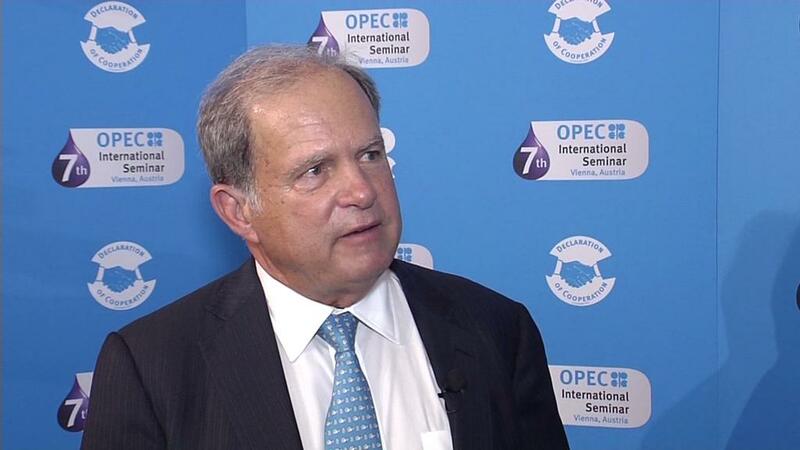 Sheffield said a sweet spot for oil prices would be around $60 to $80 per barrel. Higher than that would cause real pain for consumers, especially US drivers, he added. -- Chris Liakos and John Defterios contributed reporting.